D2 coilover helper springs next to main spring. Increases outbound in jumps. 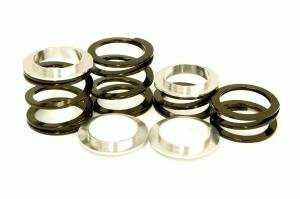 Coilover main springs allow easy tuning of a coilover suspension towards a stiffer or softer ride. 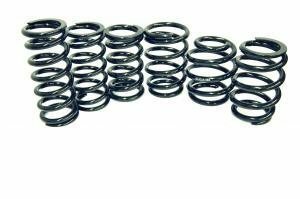 Fits all coilovers with a 62mm spring.